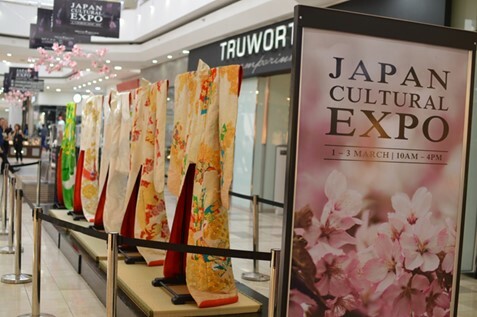 With the Rugby World Cup kicking off in September, fans will have the opportunity to acquaint themselves with the host country’s culture and history at the annual Japanese Cultural Expo Co-hosted by the Embassy of Japan in South Africa and the Brooklyn Mall in Pretoria from 1 to 3 March. PR officer for the Embassy of Japan, Taro Sawada says the exhibition will feature the rich and unique culture of Japan. “Alongside the free screenings of some of the country’s award-winning movies such as ‘Your Name’, ‘The Boy and the Beast’ and ‘Our Little Sister’, guests can expect to be treated to a myriad of entertainment showcasing various aspects of one of the world’s oldest cultures. On display will be Ikebana (Japanese flower arrangement), Bonsai (Japanese ornamental trees) and Martial arts demonstrations such as Judo, Kendo, Karate, and the ancient art of Kyudo (Japanese archery). Whilst those with an ear for music can experience the live playing of Japan’s national instrument, the Koto, a traditional Japanese stringed musical instrument. There will also be an eye-catching Cosplay performance”. The Japanese Cultural Expo is set to coincide with another special day in the country’s calendar, that of Hinamatsuri, or Doll’s Festival — also known as Girls’ Day, which is celebrated on March 3. This commemorative day is used to pray for the health and happiness of young girls in Japan. Japan and South Africa have a long-standing relationship spanning over 100 years. Japan has always endeavored to maintain a close association with the people of South Africa. The government of Japan has worked hard to contribute to the development of South Africa in a wide range of areas. These include, among others, the building of schools across the country, human resource development, people-to-people cultural exchange, job creation and skill development, improvement of living standards, and infrastructure development. “Those in attendance will also get to see authentic Japanese food demonstrations, whilst traditional Japanese attire such as Uchikake (Japanese wedding gowns) and Samurai armor will also be on display. Although the Expo will only be a small portrayal of a very vast culture, we hope that it entices and familiarizes guests with the history and traditions of Japan, especially during the year when Japan will be receiving so many international guests as it hosts the Rugby World Cup,” Sawada concludes. The Rugby World Cup in Japan will host its Opening Ceremony on 20th September, and the Final will be played on 2nd November. The Springboks will face Japan in a World Cup warm-up match on September 6 in the hope of exorcising the ghost of their World Cup match in Brighton in 2015. Boksburg will be buzzing with excitement from 2 to 5 October as hundreds of young scientists from across Africa descend on the Birchwood Hotel and Conference Centre to compete in the 38th annual Eskom Expo for Young Scientists International Science Fair (ISF). More than 500 of Africa’s top future engineers, chemists, physicists, mathematicians and innovators will be competing at the country’s largest school-level science fair for a chance to take home prizes worth more than R8.5 million. This one of a kind event does not only bring together the brightest young scientists from across South Africa, but also friends from Lesotho, Namibia, Kenya, Nigeria, Ghana, Zimbabwe, Mozambique, Tanzania and Mexico. These bright young minds have earned a spot at Eskom Expo ISF after beating the competition at a series of regional finals, and they will be poised to showcase their innovative projects to a panel of judges and industry experts in the hope of bagging one of the top prizes – a scholarship to study in Germany sponsored by Siemens, as well as 16 full bursaries to study anywhere in South Africa from Eskom. For 38 years now, the Eskom Expo has been cultivating a passion for the sciences in young people, giving participants a fun and exciting way to explore science, technology, engineering, mathematics and innovation (STEMI). “The Eskom Expo for Young Scientists creates a platform for future scientists and engineers across South Africa, to establish a base for their future careers. The competition is a great launch-pad for motivated youngsters keen to explore these fields and change not only their circumstances but their environments for the better. It is an ideal catalyst for unearthing the country’s brightest young minds in mathematics and science and also opens their eyes to the various options and many exciting career opportunities available in the extensive scientific world,” says Executive Director of the Eskom Expo, Parthy Chetty. The Eskom Expo has always sought to foster an interest in the sciences and through strategic support, enable promising young scientists to pursue their interest at a tertiary level, thereby creating a pipeline of young talent to serve across a range of industries. From laptops right through to university scholarships, the Eskom Expo is truly enabling young people to pursue their dreams. Engineering and digital technology giant, Siemens is one of the major sponsors and has been involved with the Eskom Expo for the third year running. The company has committed laptops and science kits as well as three full local bursaries plus an incredible opportunity for one young scientists to go through a three and a half year mechatronics or electronics apprenticeship at the Siemens Technical Academy in Berlin. Fiona Khoza from Nelspruit, the 2017 Siemens winner was awarded a full scholarship to study in Germany and will intern at a Siemens facility. The Apprenticeship programme affords young people, like Fiona the opportunity to take part in a three-and-a-half year, high-level education programme in Berlin and then upon their return to South-Africa, an opportunity to join the Siemens workforce. This is a unique opportunity promoting both international and multicultural exposure for young African innovators. This year Siemens is also funding the travel expenses of learners from other African countries like Kenya, Tanzania, Nigeria, Ghana, Lesotho, Zimbabwe and Mozambique to share their innovations at this year’s Eskom Expo. Eskom has been the title sponsor for several years as the state-owned enterprise sees the value in developing a passion for STEM and giving a platform for these future problem solvers to take their scientific hobbies to the next level. Thava Govender, Eskom Group Executive: Transmission and Acting Group Executive Sustainability & Risk says the Eskom Expo for Young Scientists is a demonstration of Eskom’s commitment to helping develop skilled science and engineering professionals, not only in South Africa but the rest of the continent. The public are invited to attend the Eskom Expo and see first-hand the impressive projects that these young South Africans have developed. The Eskom Expo is open to the public on 4 October from 13:30 – 17:00 at the Birchwood Hotel and Conference Centre. While the barriers to workplace equality are steadily being worn away, it is still an uphill challenge for many women trying to succeed across the career spectrum. This year’s Women’s Lifestyle Expo (#WLE2018) – brought to you be FMI – is proud to feature a number of high-profile women who have managed to achieve in their respective fields, despite working in traditionally male-dominated industries. These economic and social trailblazers – many of whom will be sharing their stories at #WLE2018 at Joburg’s Montecasino Piazza from 29 to 30 September – have imparted some of their wisdom to inspire other women seeking career success. Here are 16 Tips to Succeed in Male-Dominated Industries – from women who have proved it can be done. 1. Understand the politics of the company. You should always have a strategy to break through and get champions and influencers on your side. 2. Be well informed in your sector and share information. It’s beneficial to be seen to be a person who shares information. 3. Remember that respect is earned, so earn it and give it to those who deserve it. 4. Don’t see being a woman as a weakness, because if you do, then others will too. 5. Coming from a very male-dominated industry (the built environment/construction), I know that it’s a given that women in this industry experience isolation. My advice to women facing this kind of challenge is to start working with each other. Women historically don’t work well together, and that MUST change. 6. Build inclusive relationships. Don’t eliminate our male counterparts from the equation – we can learn so much from them. Remember they have been in these fields much longer than us and have a wealth of knowledge so, instead of working against each other, rather work together. 7. Network, network and more network! Join affiliations such as ‘Women Presidents’ Organisation; Women’s Property Network and WE Connect International. 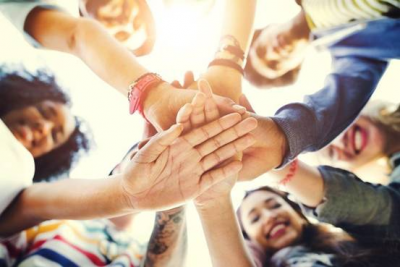 These organisations are a source of networking, as well as support structures for women entrepreneurs. It is important to build strategic relationships. 8. Don’t make business issues become personal issues, in other words, don’t take things personally. Make decisions based on them being good business acumen. 9. We need to empower young women with skills such as teaching them how to drive. In addition to the freedom they are afforded, they are opened up to many profitable careers such as driving a truck. This idea needs to be planted well before they get serious about choosing a job. 10. We need to work towards the improvement of facilities to accommodate women in all fields. When it comes to woman truck drivers, for example, there needs to be changes made to truck stops to improve safety and make this a profession women want to pursue. 11. Promoting woman to woman is vital. Women need to see more women in male-dominated industries such as trucking. It is vital that, as woman, we continue to support each other and form groups within our industry to offer support and encouragement. 12. The bottom line is there are many male-dominated industries and, for you to succeed, you have to be twice as good as the worst man out there. It’s can be hard labour. You might be expected to lift, climb and roll things! But, with passion and dedication, women are winning in this game! 13. Always know what’s happening with your finances, from bank statements to cash flow and savings. You are the master of your money. 14. Balance is essential. You can’t do everything. Choose your strength and don’t be scared to ask for support. We women don’t need to prove we’re superhuman – the world already knows it! 15. Find ways to compliment other women instead of competing. Women need to work together. 16. Remember, it takes a village to raise a child. There are lessons to be learned from those who’ve already walked the path. The principle partner of Nonku Ntshona & Associates Quantity Surveyors LTD, Nonku has built up a successful organisation, working on top projects within South Africa and internationally. She won the young black entrepreneur of the Year Metropolitan Oliver award in 2010, and was selected as a South African representative to attend the 2011 African Women’s Entrepreneurship Programme (AWEP) in the US in 2011. In 2013, she received the International Women’s Entrepreneurial Challenge Foundation (IWEC) award. Received the Nelson Mandela University Alumni Rising Star Award in 2017. 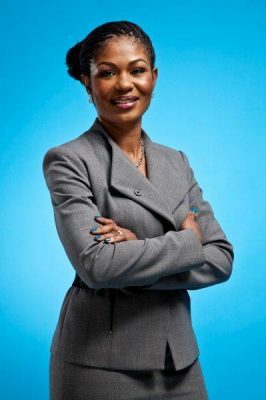 Nonku has extensive qualifications and sits on a number of boards and committees including the Women Property Network, South African Property Owner’s Association Property Development Programme; Chair of South African Institute of Black Property Practitioners Communication, Events and Marketing as well as Board Member, and member of We Connect International. A marketing strategist by trade, Michelle established SPICE4LIFE.co.za in 2005, a media platform that publishes good-news stories, providing a voice to their network members of over 30 000 women. Michelle has served on various global boards, passionately pursuing strategic gap points with stakeholders across sectors in her belief that we all have the power to be the change the world needs. This year she launched ChangeMakersHub, a tech-enabled network that profiles social entrepreneurs – charitable entities helping those who need it most.